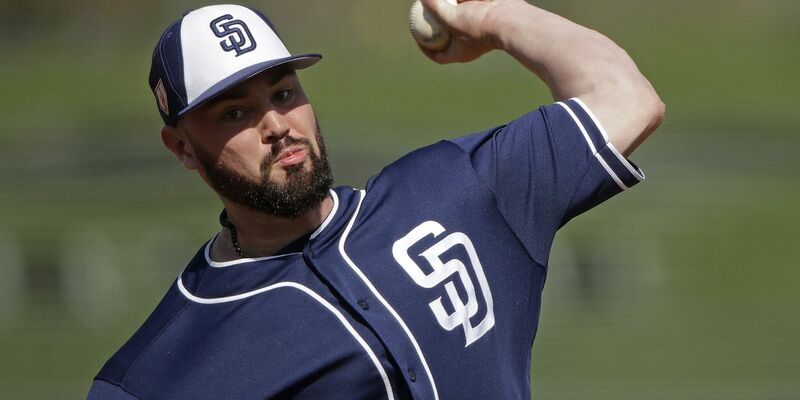 What Will the Padres Rotation Look Like Come Opening Day? The starting rotation for the 2019 San Diego Padres is starting to take shape. But who will make up the five-man group? Opening Day is now nine days away and the Padres have yet to finalize their starting rotation for the 2019 season. The team does have plenty of options when it comes to who will make the starting rotation out of Spring Training. Joey Lucchesi and Eric Lauer have been virtual locks for the entire camp, but after them, it is wide open for spots three through five, potentially six. Who will start on Opening Day? Unless the Padres trade for a front of the line rotation pitcher (Trevor Bauer? Corey Kluber?) 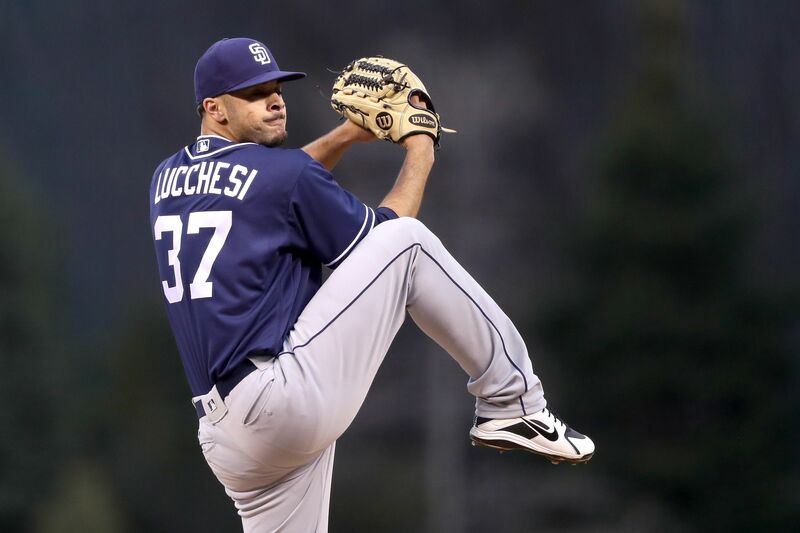 Joey Lucchesi will mostly like start Opening Day against the Giants. The second-year pro was arguably the team’s best pitcher last season as a rookie, posting a 4.08 ERA over the course of 26 starts. In his rookie year, he consistently fooled hitters with his arsenal of pitches which includes, a four-seam fastball, sinker, slider, and his signature churve ball. The churve is what hitters couldn’t figure out in year one, and Lucchesi will once again bank on that pitch to help him go longer into outings this season. His churve comes out of his hand like a fastball, looks like a change-up to the batter as it comes in, but has late life to it to which causes hitters to swing wildly at a pitch that ends up in the dirt. One thing that plagued Lucchesi last season was his inability to go deep into games. Part of this was he was on an innings limit, and only threw over 100 pitches twice all season, but he only pitched six or more innings in six of his 26 starts last year. If Lucchesi wants to go farther into games, he will need to be more efficient and utilize all of his pitches in 2019 and not rely on the just the churve to get hitters out. The 25-year-old only made his major league debut last season but could likely be the ace of the staff this season, and a figure the other pitchers on the roster can learn from, and that will likely start on Opening Day. 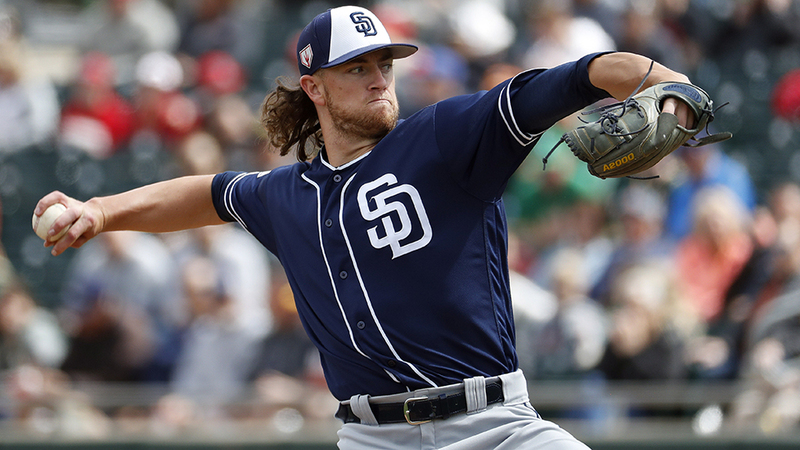 This is unlikely to happen, but Paddack does warrant consideration to be named the Opening Day starter. His numbers in the minors last year after undergoing Tommy John surgery in 2017 were video game-esque. Between Single-A Lake Elsinore and Double-A San Antonio, he threw 90 innings, struck out 120, and only walked EIGHT batters. The trend continued this spring, except this time against big-league caliber hitters. In 12.2 innings he has struck out 20 hitters and only walked two. His command of the strike zone has been remarkable, and his ability to attack hitters is something unique that no other pitcher on the staff possesses at the moment. Paddack’s ability to pound the strike zone is something the other pitchers in camp should try and mold themselves after. Throwing quality strikes and hitting your spot is arguably the best thing you can do to prolong your starts and lower your pitch count. He has done a tremendous job with that, which in the long run will help him succeed at the major league level. Paddack has simply dominated hitters since his return from Tommy John surgery last season. He has easily done enough to make the starting rotation out of camp, it is just up to Andy Green if he starts Opening Day or not. Who will fill out the back-end of the rotation? 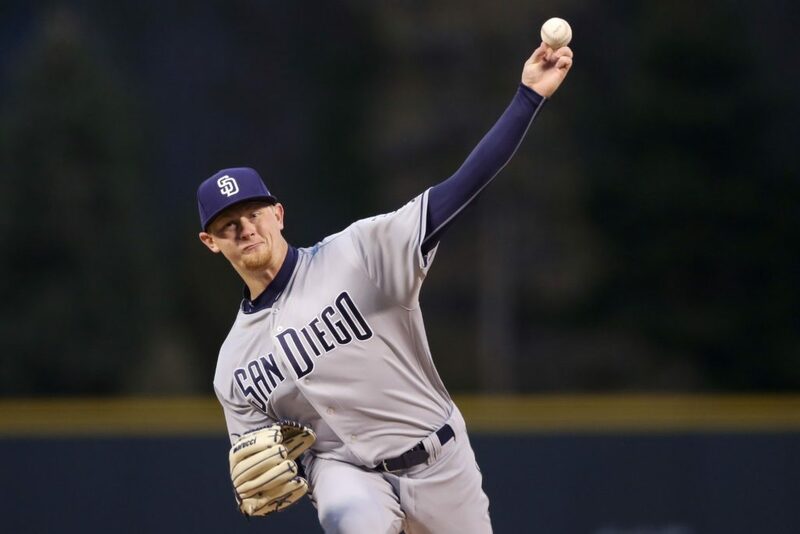 Lauer, Paddack, and Lucchesi; all are virtual locks to be in the rotation, but who else will join them? Lauer will join the rotation after he was solid all season in 2018, posting a 4.34 ERA over 112 innings. Still just 23 years old, the left-hander will be entering his second season in the majors and has been working on his slider this offseason to add another dynamic to his presence on the mound. At such a young age, many have cast Lauer as a bridge to other more highly acclaimed pitching prospects arrive at Petco Park. He has never had the quickest fastball, it averages about 92mph but he does throw two other pitches above average. The aforementioned slider should have even more bite to it in 2019, and he also utilizes a curveball effectively as well. So far this Spring Training, Lauer has mostly pitched in backfield games due to the number of pitchers the Padres have in major league camp. But in his most recent Cactus League start he went four innings, struck out six, and didn’t give up any runs. Lauer will surprise people this season. He wants to be a workhorse for the rotation, pitch over 180 innings, and be more effective. If Lauer can command all his pitches more effectively this season, he will surprise people this season with the numbers he will put up. Matt Strahm, Robbie Erlin, Logan Allen, and Cal Quantrill all have a shot at the last two, potentially three spots, if Andy Green decides to go with a six-man rotation. 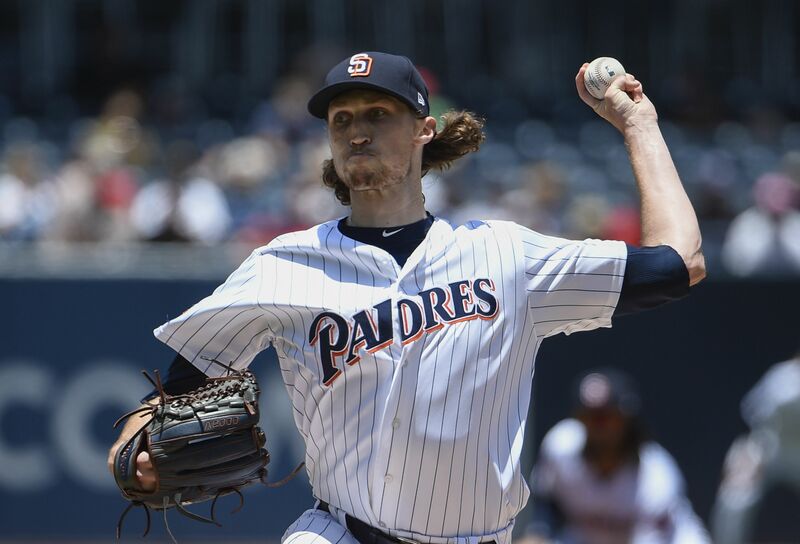 Matt Strahm has to prove his durability after coming off of knee surgery during 2017. He came out of the bullpen in 2018 for the Padres and pitched exceptionally well. His 2.05 ERA out of the pen allowed him to thrust himself into the starter conversation and he has pitched well this spring. In twelve innings pitched this Spring he has struck out 15 and only walked four batters. His spring ERA of 3.75 would have been much lower if there hadn’t been fielding issues behind him throughout his last start. Based off of his sample size this spring, and how in each start he went further into each game, Strahm looks to begin the season in the rotation. His repertoire includes a four-seam fastball, slider, curve, and change-up. If Strahm wants to be effective as a starter he will have to use all four pitches evenly and spread out the use of his fastball to keep hitters on their toes in the batter’s box. After rehabbing from his own Tommy John surgery in 2017, Robbie Erlin was great out of the bullpen in 2018, and shaky as a starter. Out of the pen, he was effective, posting a 2.22 ERA, but as a starter, Erlin’s ERA jumped to over four. He utilizes mostly a fastball and change-up and gets ground balls from that two-pitch mix. He does occasionally use a curveball but mainly relies on the other two and itches to contact, allowing his defense to make the play behind him. With an infield of Eric Hosmer, Luis Urias, Fernando Tatis Jr., and Manny Machado, Erlin should be confident in his defense behind him to make plays to help him get out of innings quicker this season. While his results have been mixed, at only 28 Erlin deserves another shot in the rotation this season, at least at the beginning before pitchers such as Nix or Lamet return from injury, or prospects such as Quantrill or Allen prove they are ready for the majors. Logan Allen currently has an edge of Cal Quantrill for the final rotation spot. While they have both had rough outings this spring, Allen is arguably major league ready. In between Double-A and Triple-A he posted a 2.54 ERA over 148 innings, including going 4-0 in El Paso, to end the 2018 season. He attacks hitters on the mound and on his mentality, he said, “Don’t focus on the pitch before. Get back on the mound, get the ball and shove it down their throat.” His attack mentality is a welcome sign in an era where pitchers try to finesse their way through innings and seeing someone attack over and over will be a welcome sight in San Diego. Finally, Cal Quantrill is the other option for the final rotation spot. He is still considered a raw prospect but with his talent, it is only a matter of time before he cracks the big leagues. While he did struggle occasionally at both the Double-A and Triple-A level he was playing against players two or three years older than him. The average age of this rotation at the beginning of the season will be just under 24 years old making this group one of the youngest starting rotations in all of Major League Baseball. Logan Allen at just 21 would be the youngest, and Matt Strahm would be the “oldest” at 27. Interestingly this pitching staff is dominated by left-handers. Of these five only Chris Paddack throws right-handed, giving the Padres another unique look to their rotation. While height might not matter to some people it does bring an intimidating presence to the mound. All five of the projected starting pitchers in 2019 will be at least six feet tall, with Paddack and Lucchesi the tallest, both listed at 6-foot-5. The Padres have plenty of young talent coming through the system this season, but the major league rotation as it is now could surprise plenty around baseball this summer if things go the way the Padres believe they will. Previous With Machado Signing, Where Does Ty France Fit? If no trades are made, do we see a possibility that James Shields get a redux in the 5 hole? At least till he proves he can’t do it or till Lamet returns? Not sure Allen or Quantril have shown enough yet. Not sure it wouldn’t be smart to sit on Paddack till control deadline passes also saving him some innings this year. I had heard he worked out for Padres and looked good. A veteran workhorse with his pedigree could be a valuable model of he’s motivated and produces. No inside info here. Well, the national sportswriters keep putting Mitchell and Perdomo in their deliriously imagined Padres rotation. This best guess is better, primarily because the author actually knows who the pitchers on the team are. I’m almost ready to agree with SDDon that four lefties in the rotation is a bit much, but Allen and Erlin are both lefties, so it’s unavoidable that the rotation will be lefty-heavy. Just remember the Dodgers had lefties Kershaw, Wood, Hill, and Ryu starting last year, and even gave lefties Alexander and Ferguson a few starts. In all, the Dodgers started lefties 96 times last year while winning 91 games, and 106 starts in 2017 when they won 104 games. and use Quantrill and Allen in tandem for the 5th spot. Quantrill is a RHP and 4 LHP is too many. Strahm throws Left Handed also. 4 LHP and only one RHP, PADDACK. I disagree Erlin is still in the mix.